⁣At Squashpoint you can find tips & tricks for everyone, from a beginner to an advanced competition player. You never stop learning. And that's our desire: to see you try, improve and thrive. With the help of top coach Bart Wijnhoven from the Champions Factory, we create inspiring and educational videos to help you improve your technique and tactics and make you both physically and mentally stronger. 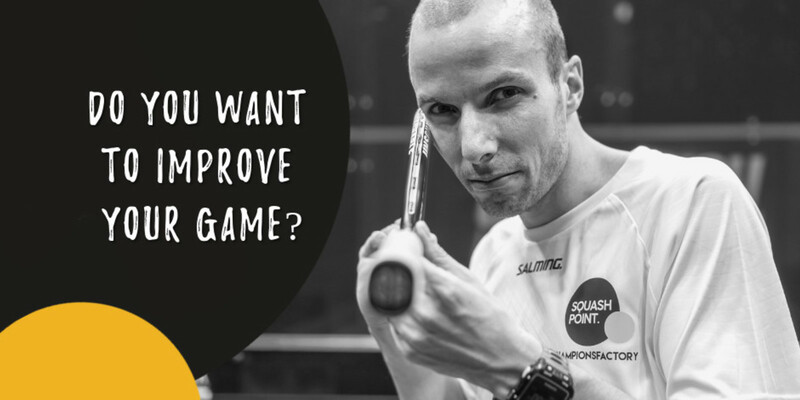 ⁣We recorded about 20 videos with tips & tricks for squashplayers who want to improve their game. Coming soon! So don’t forget to subscribe to our YouTube channel, Facebook or Instagram page .